Online reputation management has become increasingly important as a growing number of patient now read online reviews before calling or visiting a dental office. As a dentist, it is satisfying to see that your patients are happy with your services when you find positive feedback left by patients on your local business listings. Local residents also rely on these reviews to form opinions about your practice. Therefore it is important that you regularly monitor and improve your online reputation. In this post I will tell you how to track mentions of your name, practice name and other brand mentions on the web absolutely free. You can do this by setting up Google Alerts. Make sure you add very specific search queries and select the appropriate channel, otherwise you will end up receiving too many irrelevant alerts in your email inbox. Given below are some example queries I use to setup Google Alerts. You can also search your name and practice name in google and note down what search suggestions google shows. 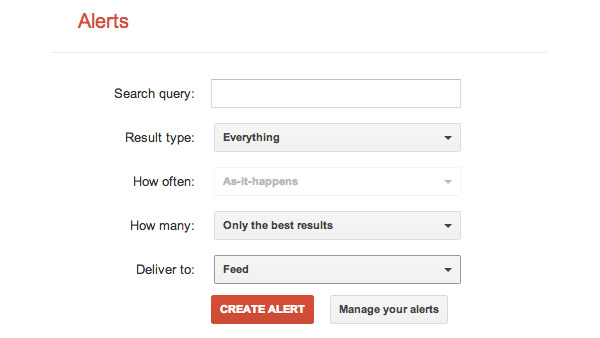 Then setup google alerts on those search terms. The main thing you want to track is negative feedback and mentions so you can respond to them quickly and manage any issues before things get out of hand.